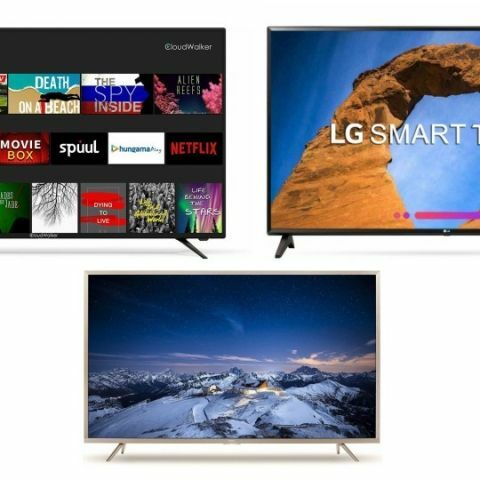 In this lister, we have put together the best TV deals that are currently live on Amazon's Great Indian Festival sale. The Amazon Great Indian Festival sale is now on day 3 and will run till October 28. Besides regular offers and deals, the e-commerce giant has also collaborated with ICICI and CITI Bank to offer upto a 10% instant discount on using these banks' debit and credit cards. The smart TVs we have added in the list down below are from brands like TCL, LG, and more. The TCL 55-inches UHD 4K LED Smart TV features built-in Wi-Fi that lets you connect the TV to your home network and allows you to download and access apps like Netflix, Youtube and more. The TV also has multiple HDMI and USB ports so that you connect external devices to it. The TV available at a discounted price of Rs 43,990. View deal here. Kodak's 32-inch SMART HD Ready LED Smart TV is quire reasonably priced at Rs 11,490. It offers users access to content from apps like Netflix and Youtube on the TV. It offers a resolution of 1366 x 768 pixels and comes with an A+ grade panel. View deal here. The Mi LED TV 4C Pro has three HDMI ports and two USB ports to connect multiple external devices. It is a smart TV that allows you to watch the content from apps like Hotstar and Voot. The TV can be bought at Rs 12,998 (appx) that includes a 10% discount when using a ICICI or CITI Bank card. View deal here. The LG 43-inch Full HD Smart LED TV offers a resolution of 1920 x 1080 pixels. The smart TV features built-in Wi-Fi, Magic zoom, ThinQ AI and more. You can get this TV for Rs 42,990 during the Amazon Great Indian Sale sale . View deal here. The CloudWalker 50-inch 4K Ready Smart TV is available during Amazon Great Indian Festival sale with a hefty price cut. It is a smart Android TV that allows you to access the internet and download a variety of streaming apps like Netflix and Youtube. The product is available at Rs 28,990 during the sale, and you can check out our review here for more information. Click here to buy.